Amalgamate is a finalist for a GO Award! 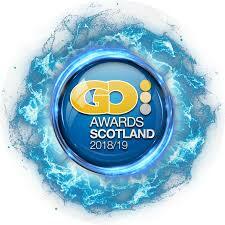 We’re pleased that the service we provide to North, East and South Ayrshire Councils in regard to providing their First Aid training is being recognised in this way, and we’re looking forward to raising a glass of something bubbly at the upcoming finalists presentation being held at Procurex Scotland on 23rd October. Wish us luck! This entry was posted in General News on 24/09/2018 by Kiri.